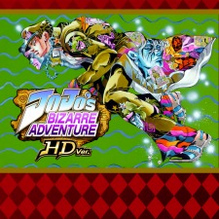 Jojo’s Bizarre Adventure HD Ver. was delisted from the Xbox 360 and PlayStation 3 in Europe on September 11, 2014. It appears to have been delisted in North America on both platforms no later than November 16th. As Capcom continues to publish newer titles based on the Jojo series it seems likely that specific licensing relating to the HD version has expired. The game remains available only on the home consoles it was originally released on: PlayStation and Dreamcast. Thanks to WildTwintails for submitting this information to the site.